It worked! The tomatoes obviously prefer the balmier climes of the kitchen window and have finally germinated. Once they’re all up, I’ll return them to the greenhouse and pot them on. 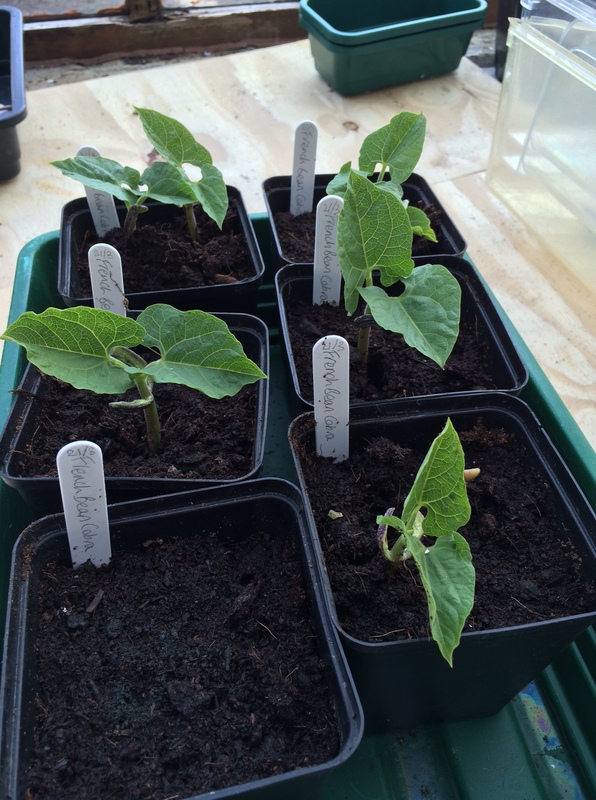 The cucumbers are there growing well, as are the French beans and various flowers. We’ll soon be running out of space (and pots). My French beans are growing! The weather has been wonderful here. Once the early morning fog has burned off, we’ve had three days of sunshine (albeit hazy today under the Saharan-sand smog cloud). Perfect Easter-holiday weather. We had friends staying with us earlier in the week, so I took the opportunity to take them to nearby Walmer Castle. The hightlights for me were the glorious gardens – a formal garden with a large, rectangular pond and topiaried yews; a woodland walk; and a fabulous kitchen garden. I can’t believe it’s taken us almost three years to get round to visiting this lovely place. As it’s just up the road, I’m sure it’ll become a regular destination for inspiration. 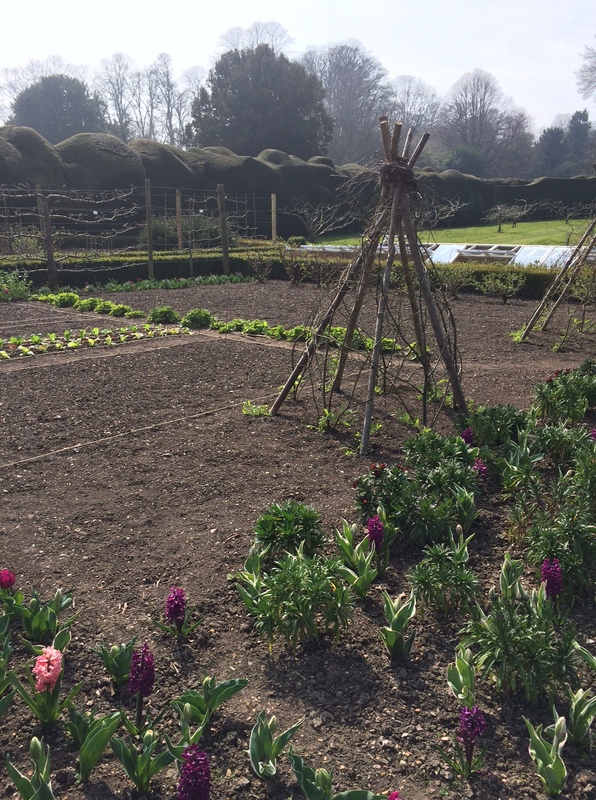 The wonderful kitchen garden at Walmer Castle. You can just see the amazing, wobbly yew hedge in the background. With the children all busy (one ‘adventure training’ in Cornwall, one ‘resting’ after exerting ski trip, and the youngest happy pottering about) we’ve made the most of the weather and had two days of full-on gardening. 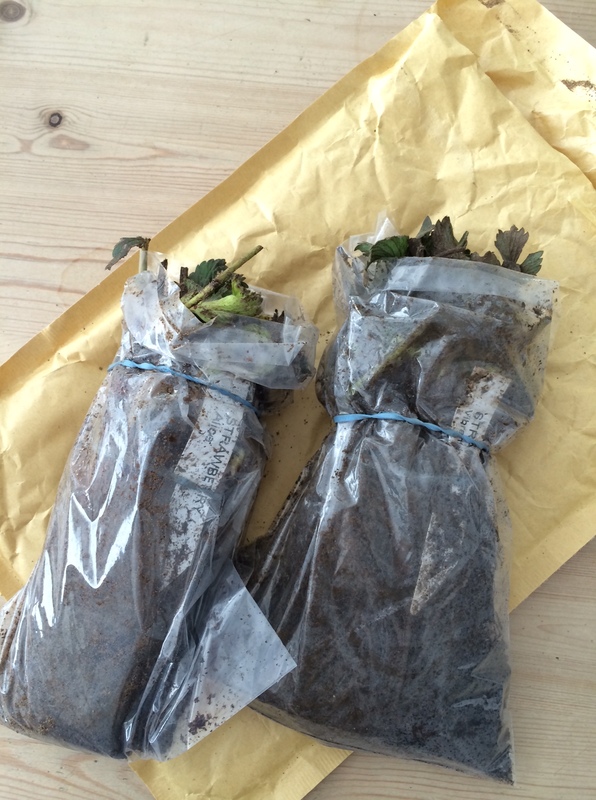 Our mail-order strawberry plants arrived this morning inside a jiffy bag. Not quite what I was expecting! Luckily we’d prepared the bed yesterday so we were ready to go. It was quite fiddly planting them – spreading out the roots and making sure the crowns were level with the top of the soil – but they’re all in. There are 12 mid-season fruiting (‘Alice’) and 12 late (Vibrant), so hopefully we’ll have some fruits this summer and a bumper crop next year. 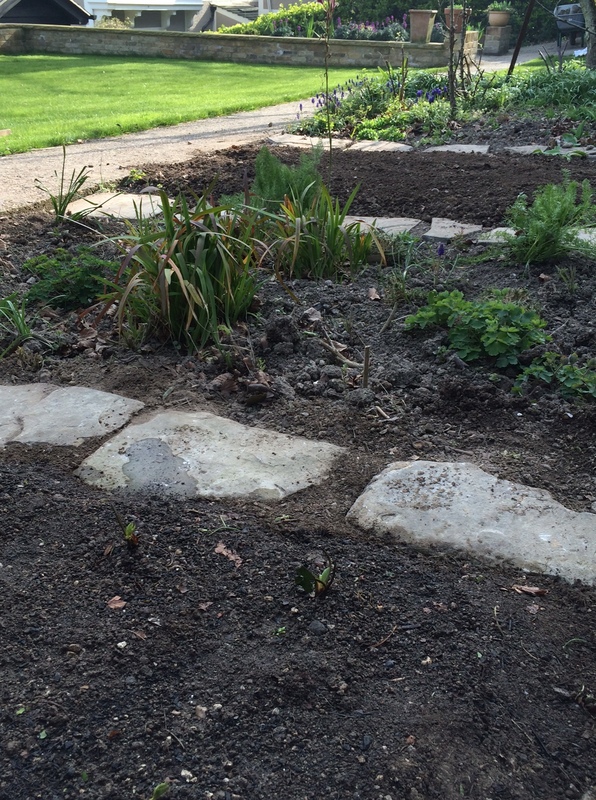 Progress in the veg plot. The strawberry crowns are in the foreground (really!). It’s the village spring show tomorrow. We don’t have any suitable named varieties of flowers or veg to enter the show classes (competition is quite hot! ), so I’m entering the beginner’s flower arranging class and my daughter is entering a posy. Our entries have to be at the village hall by 10am sharp, so we’ll be out in the garden early in the morning to see what we can find. PS Thanks to my lovely sister-in-law for showing me how to insert photos into my blog posts! Wow what progress! It’s amazing what a few days of sunshine does. For us and the garden! It’s hard work but great fun.